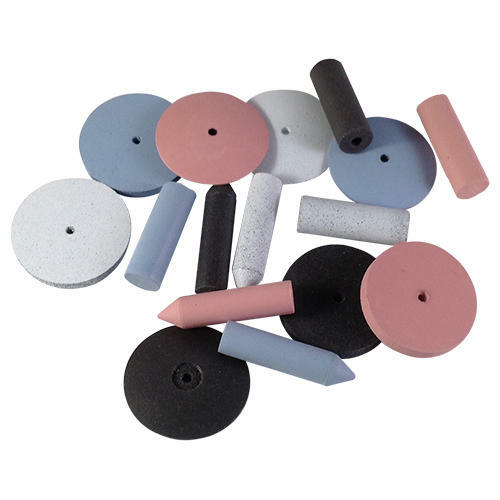 These Grey Rubber Polishing Burrs are a medium grit abrasive, superb for pre-polishing metals and for smoothing in glass engraving. Use on materials such as glass, enamel, non-ferrous metals such as platinum, gold, titanium and silver and for use on steel, acrylics and resin. Do not exceed 15,000rpm. 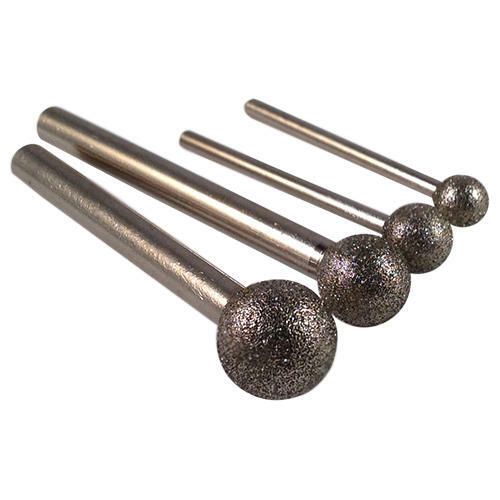 All burrs are mounted on a 2.35mm (3/32") steel shank. 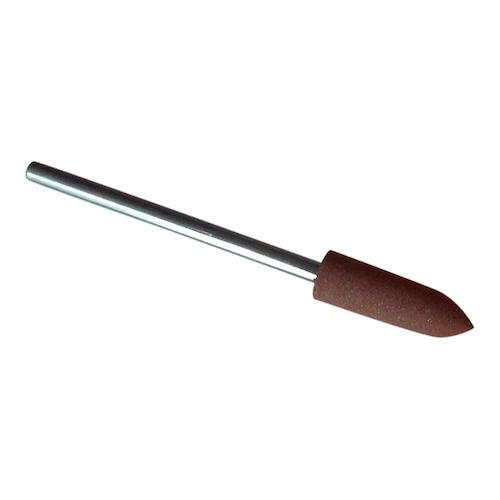 The wheel polisher is unmounted and will require a Screw Mandrel to hold it with. Read on for further detailed information and technical specifications. 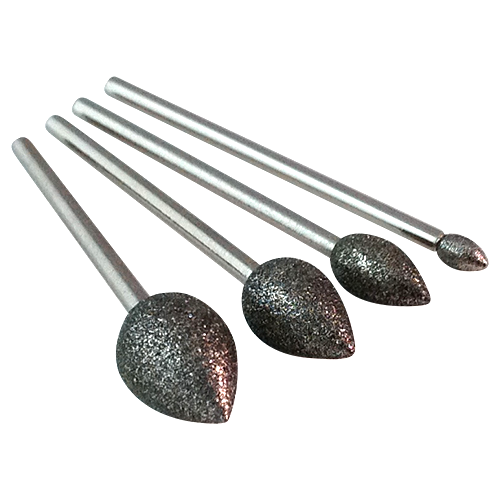 Use these grey rubber polishers to smooth out the roughness on metals, or for smoothing and shading when glass engraving after pre-smoothing with an Arkansas Stone Burr. 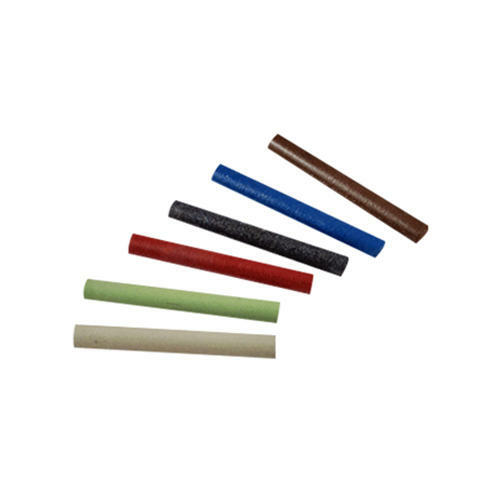 These are high quality dental rubber abrasives which are mounted on a 2.35mm shank. 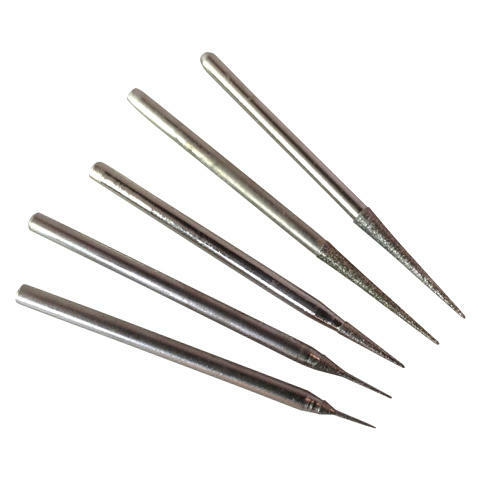 They will be a nice addition to your tool set for working on jewellery making, glass engraving and craft projects for smoothing and polishing metals, enamels, glass and acrylic. 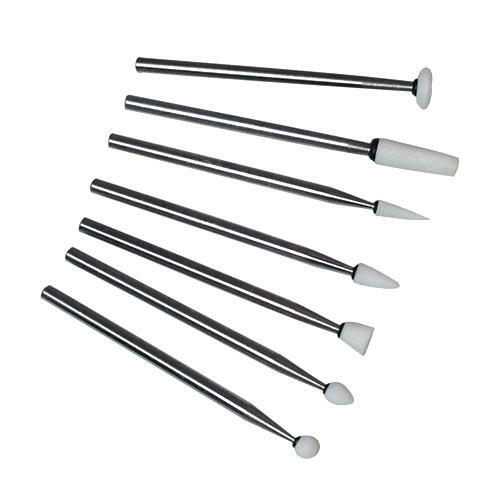 Tip: These are abrasives, be careful to use them within the lines of your design if you're using them in glass or gemstone engraving to avoid marking the surrounding area. 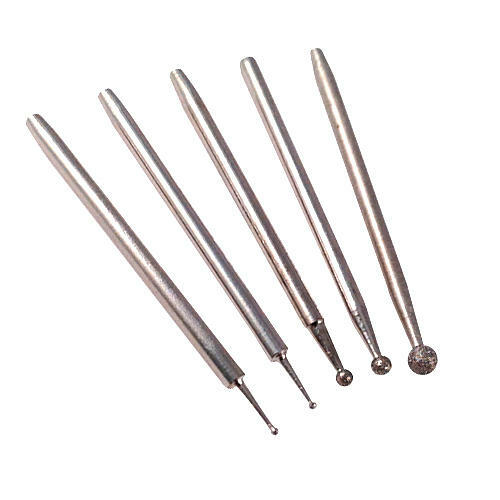 EVE Silicon Carbide mounted burrs onto a 2.35mm shank, medium grit. Unmounted EVE Silicon Carbide wheel, medium grit.